The Last American Vampire – Seth Grahame-Smith – CRITICULT – Telling you what to think since 2003. 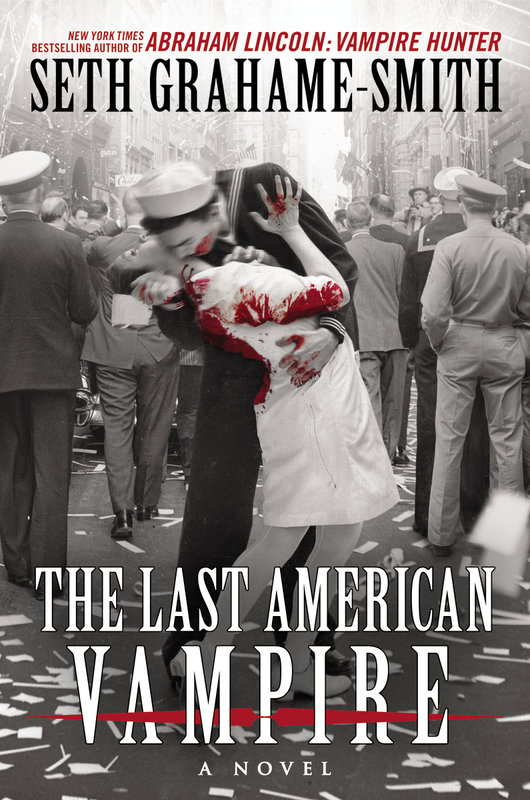 The best way to describe The Last American Vampire is “Forrest Gump with vampires”. Picking up where Abraham Lincoln: Vampire Hunter ended, this new book changes focus to Henry Sturges and we see much more of his life before Abe came on the scene. The alternative history set up in the first book continues here. To briefly recap, vampires are real and have been shaping history for centuries. The American Civil War was fueled by vampires trying to secure a never ending source of food with the slave trade, and the Northern forces, aided by good guy vampires called, ‘The Union’ went to war to stop them. Crazy and insane premise, but incredibly entertaining. The Last American Vampire doubles down on the crazy and describes Henry’s various adventures with notable figures from history like Jack the Ripper, Nikola Tesla, Bram Stoker, FDR, and so forth as they chase a vampire mastermind known only as A. Grander VIII. In the fictional world of the novel, the book Abraham Lincoln: Vampire Hunter was a big success but resulted in no more than a momentary flash of fame for Seth Grahame-Smith. So he tracks down Henry Sturges again and asks him for more of the story. After some convincing Henry finally obliges. The novel intersperses Henry’s direct quotes with a more novelistic approach, as well as photographs and letters. It’s not quite epistolary and not quite a novel but a hybrid of the two like the first book. The Last American Vampire doubles down on the crazy premise and describes Henry’s various adventures with notable figures from history like Jack the Ripper, Nikola Tesla, Bram Stoker, FDR, and so forth as he chases a vampire mastermind known only as A. Grander VIII and affects world events in the process. The story is also quite gory. At its core this is a horror story. It’s not exactly scary, but the violence is certainly horrific and brutal so the squeamish will want to stay away from this one. It’s a fun book – for those that can handle the violence – and I enjoyed the anticipation of what famous figure was going to pop up next. Grahame-Smith keeps the action moving at a brisk pace, never settling in one time period for too long. The presentation makes it somewhat difficult to care too much about what is happening. It’s easy to cringe at a particularly horrific kill, but I never cared all that much about the fates of the characters because they was little complexity to any of them. There are a couple of “just because” moments that are irritating. For example a seemingly dead villain returns with no explanation offered for how they survived. Even with these problems, The Last American Vampire is a fun follow-up to the world Seth Grahame-Smith created. It doesn’t have the same hook as Abraham Lincoln: Vampire Hunter and by telling the story over nearly 200 years instead of the 50 or so in the first book it isn’t nearly as focused. However if you liked Abraham Lincoln: Vampire Hunter give it a look for yourself.